The Battle for Sodus Point was fought here where our Inn now stands, in June of 1813. During the underground railroad, slaves from the safe-house at Alasa Farm, were rowed across Sodus Bay at night, from the marshes west of emerald Point. A tunnel came into our kitchen before recent renovations closed it over, from the embankment to our south, on the Sill property. The tunnel then went north from here down the east side of John Street, to the large house with the stone pillars, where the tunnel once again entered into the basement of that property. From there, slaves were taken by boats to ships traveling to Canada. 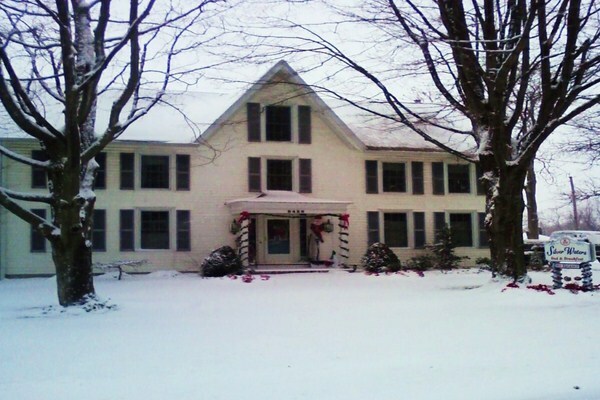 Our Inn was built in 1835 after it was destroyed during the battle of Sodus Point. Our Inn was a tavern as well as a hotel for travelers coming to the Village of Sodus Point.